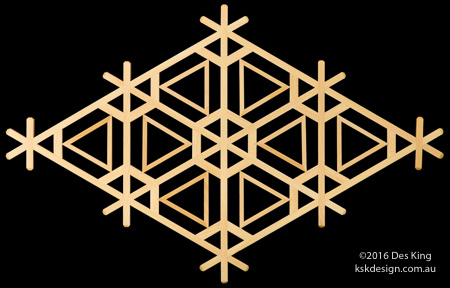 Yuki is the Japanese word for snow, and the yukigata kikkō is a very attractive pattern that forms an ideal feature when using different coloured wood. 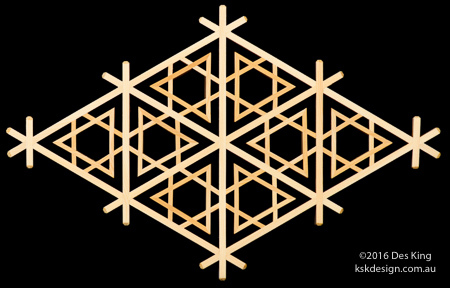 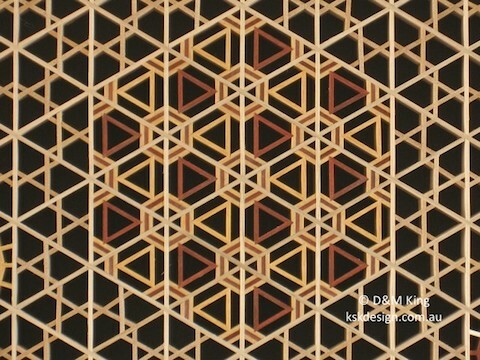 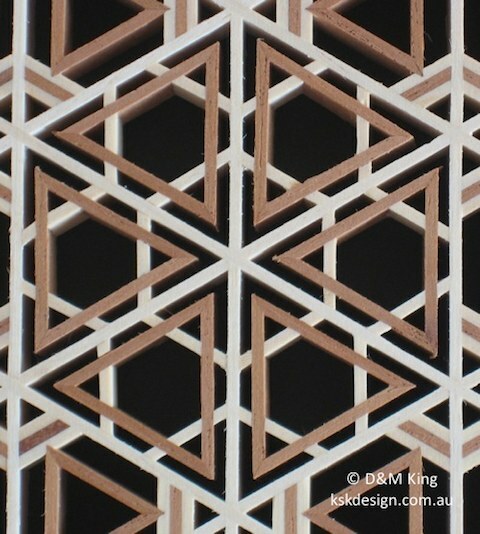 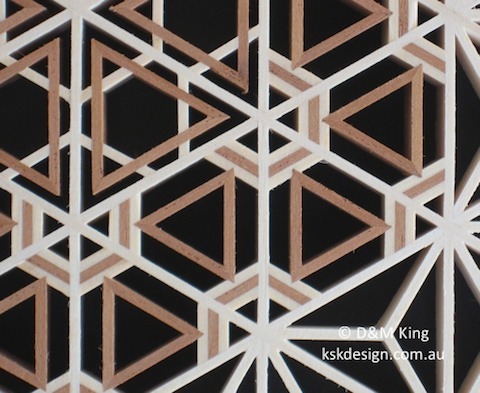 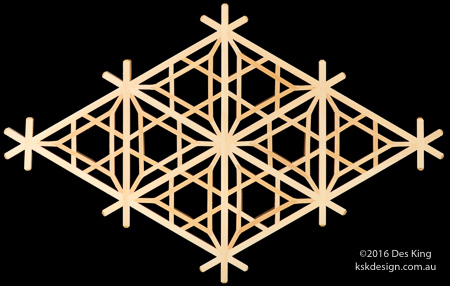 Kaza-guruma means pinwheel, and this modern pattern was designed by an extremely skilled kumiko shokunin (a past winner of the Prime Minister's Prize at the National Tategu Competition) from Fukushima Prefecture. 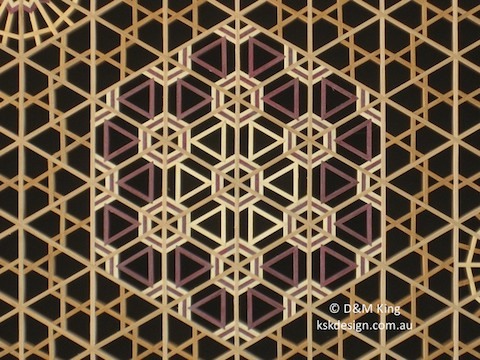 A beautiful pattern that is indeed fun to make.